Software migration is the process of transferring data and other office records from one operating network to another. It could also refer to the act of using the same software in a computer to another, or utilizing both software and hardware faculties. Generally, it refers to any activity that may involve any sort of transfer of applications, operating systems, database, networks, or an entire IT infrastructure.You may also see project agendas. Irregardless of the complexity of the project you are undertaking, if you are, as they say, testing the water before you completely plunge into it, not only will there be fewer risks, your chances of succeeding will also be elevated. The same rule applies to a successful migration process. 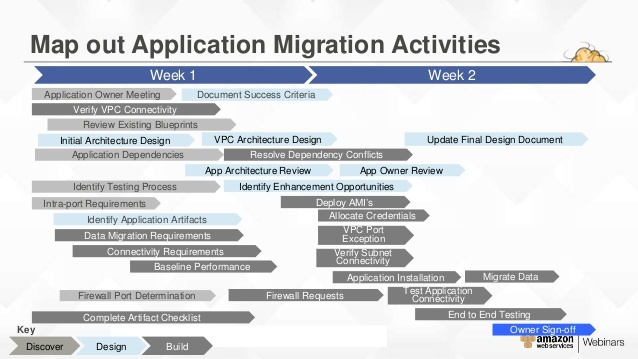 If you plan the lengthy process ahead, the people who will implement the plan, and the risks that may hinder it from achieving its goal, your software migration team will have less issues to worry about when they finally start the procedure.You may also see transition plans. First of all, your team needs to assign a leader who has the ability to effectively oversee the whole project. He must also be the one who will designate specific tasks to each member who are considered experts in that specific duty. These so-called experts will work with the leader during every stage of the migration process.You may also see project proposals. 2. An Auditing of the Data. This process is important to be able to accurately estimate the amount of time and effort that the software migration may take. It can also assess the quality of the material in question and determine if there are necessary repairs that need to be administered.You may also see work plans. 3. Cleaning and Preparation of the Data. It is important that the data is inspected for quality and integrity, and to decide which ones need not be transferred along with the others. It’s not necessary to transfer each one, only those that are relevant and up to date. It must also be loaded into your system so that the process of extracting and exporting it later on will go smoothly.You may also see marketing project plans. 4. Migration Execution and Validation of Results. Simply migrating each one of your data, or bulk data migration, is not the most flawless process. Migrating each process separately is always the better way to go. 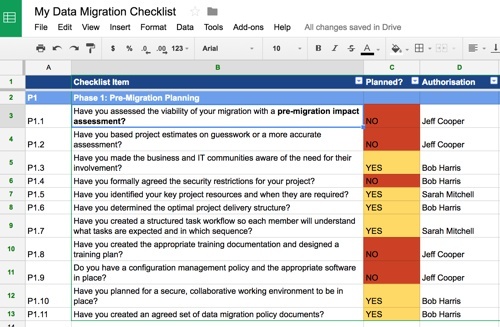 Before the actual migration, setup a testing environment and execute the migration tools you have prepared on a couple of sample data as a way to estimate the time you may need for the process and the tools that may be necessary for its completion.You may also see baseline project plans. 5. Using the Migration Data and the Data Repair Process. Think a few steps into the future. Once you have migrated your software data, what happens next? Should you conduct repairs before you can move forward? Will the data need active modification or is it fine on its own? Are their issues in the data’s features that may need to be altered? To practice, work on sample data to get an estimate of the required cleanup that you may have to conduct since your job does not end at the migration process.You may also see action plans. Why Do Companies Migrate Their Data? You may be wondering why many companies still go through the tedious process of transferring data when it involves such a complex process of planning, preparing, and implementing. You see, data migration is necessary when you introduce a new system to the company. It may also be required for cases where you are simply employing an additional system to work with your existing ones. And the act of adding or exchanging your existing systems is a way for a company to maintain their competitive streak in the field. It helps improve their performance and deliver aggressive strategies.You may also see research plans. The data that your present system or software holds is what we would consider accurate. When you transfer it to a different platform, inaccuracies and duplication may occur which will render your data no longer accurate. 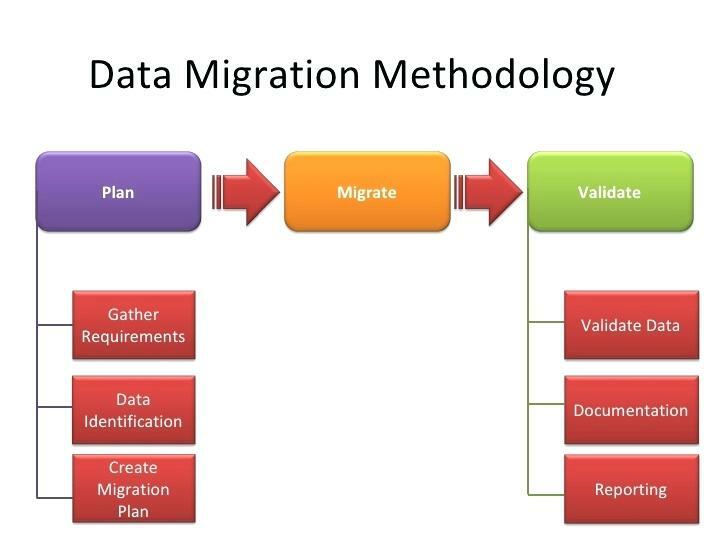 So although data migration is important, it has a lot of setbacks. 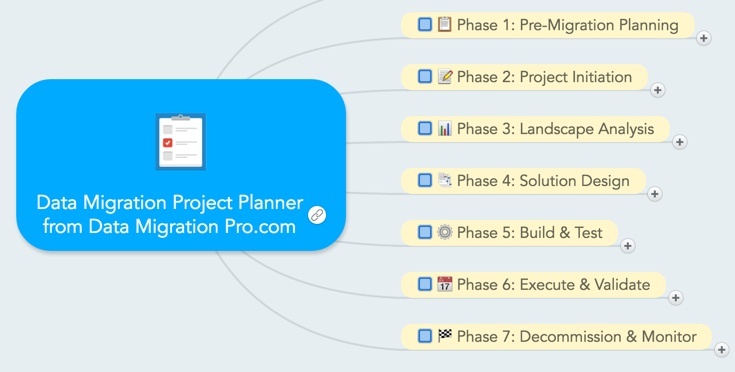 But since companies have to go through with it to not be left behind by their competitors, it is part of their job to understand the material they are handling and the targeted avenue to which they are transferring it to lessen the negative effects of the process.You may also see project flow charts. 1. 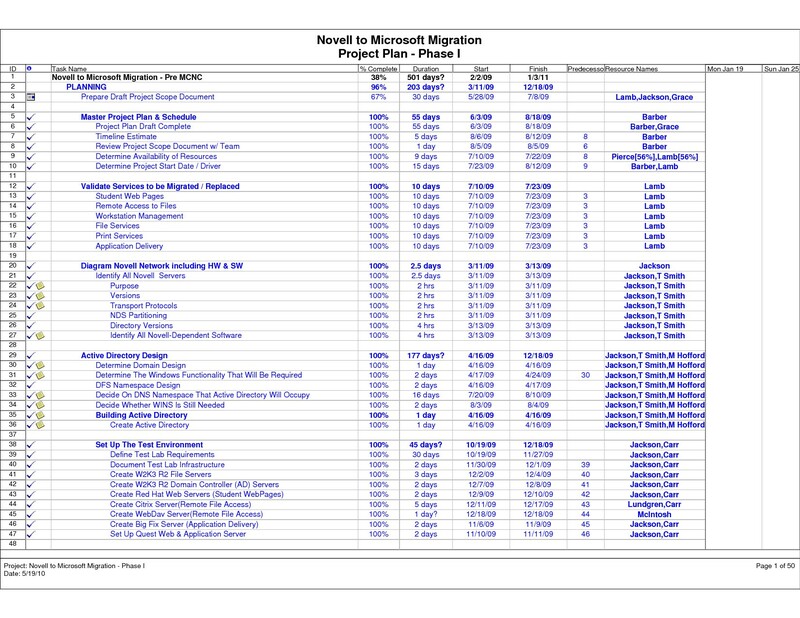 Enterprise Resource Planning Migration. This specific type of software migration is centered on the merging of the present applications with new ones. 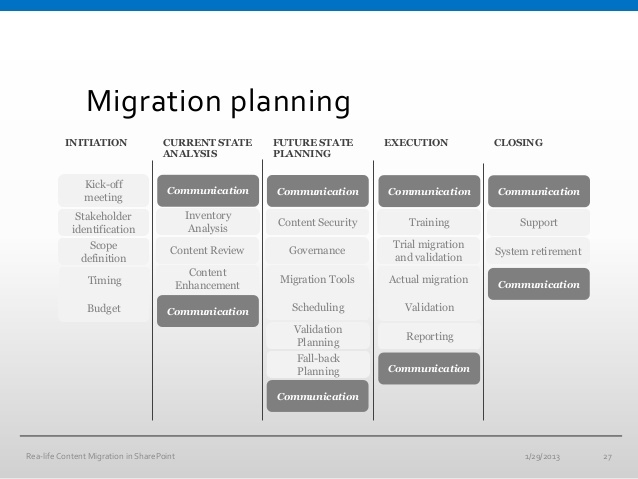 Although it’s basically similar to other types of software migration, it involves far greater risks since it deals with many business-critical functions such as product planning, sales, marketing, and even the Human Resources Department.You may also see quality plans. This process refers to the act of moving a software from one operating system to another, while transferring all the data and software in the process. As its name suggests, this type of software migration refers to moving from one type of database to another, while maintaining its other part such as the software and the operating system. It may include the process of changing the physical location of the data and its format, and the type of the database’s provider.You may also see communication plans. This type of migration involves moving applications, data, and other strengths from an on-site system to a more reserved environment that very few people can access. 5. Content Management System Migration. 1. Scope the project thoroughly. At the start of the project, or even before it begins, assessing it will help you identify potential issues in the future. Once you determine them, you can equip yourself with the necessary precautionary measures in defense. The aim of this initial step is to thoroughly review the project, it’s structure, and its technical aspects.You may also see quality plans. Are the deadlines and objectives of the process clearly defined? Will the budget be enough? Are the requirements of potential stakeholders included in the plan? 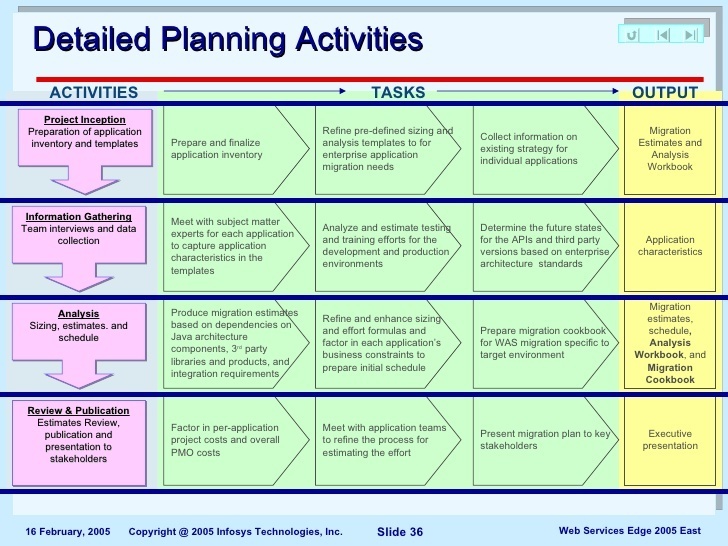 Have you prepared communication plans that includes the stakeholders? Do you have enough team members and are their skills enough to achieve your goal? 3. Prepare the data meticulously. Check how each system that your migration covers works, and how the data in each system is structured. Validate the data and identify if the data is fit for the purpose or for the process. Check the history of any of your older data if it passes the requirements that its new platform offers. 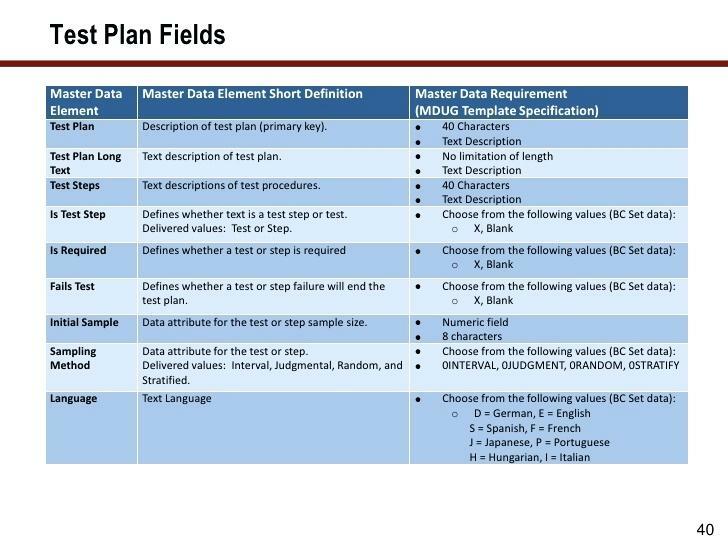 Check whether or not the data is in the correct format and standard for its new physical host. Create a retirement plan to assess if the data is no longer required, thus making it unnecessary to the transfer. Conduct a data cleansing which will check if the data is available, accessible, and complete. 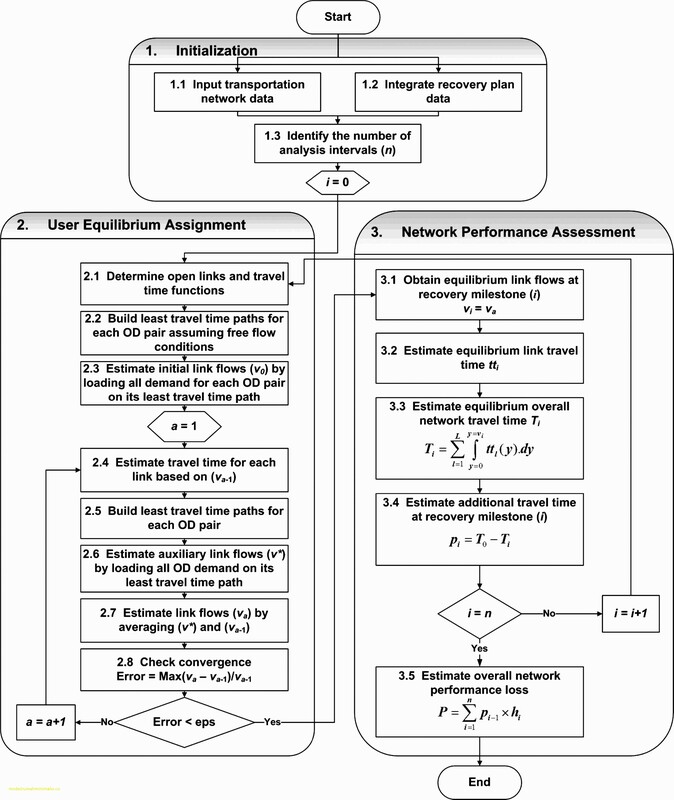 Assess if the other previously mentioned preliminary steps have an impact on the other elements within the present physical location and its targeted location for transfer. How can you ensure that your data transfer is secure? If it’s not, how can you create a secure server access? How can you ensure secure data access? How many permissions will be required to transfer the data? Is this aspect of the security perhaps too lax? Would personnel and outside consultants need clearance to access the data? Is there a training session required by the personnel? Have you scrutinized the software that you will use for the migration? Is there a protocol about the use of emails or portable devices? You may highlight that the project is a business priority that is focused on enhancing the company’s competitive streak. But you must also create a specific boundary to their expectations of the project’s limitations. You may convince them by linking business issues that the process will address, and the quick wins as well as the long-term gains that the whole company will reap from it.You may also see financial plans.